Ah Friday... After a long week at the office all I want to do is come home and relax. My skin has been a complete nightmare recently and my usual skincare beauties have failed me. I don't know what is going on but my skin has just been crazy oily and nothing I have used so far is helping. So after reading a review on The Fab Pore I decided to pop into Boots on my way home and treat myself. At the price of ten british pounds I had collected just enough points on my Boots card to cover the cost! 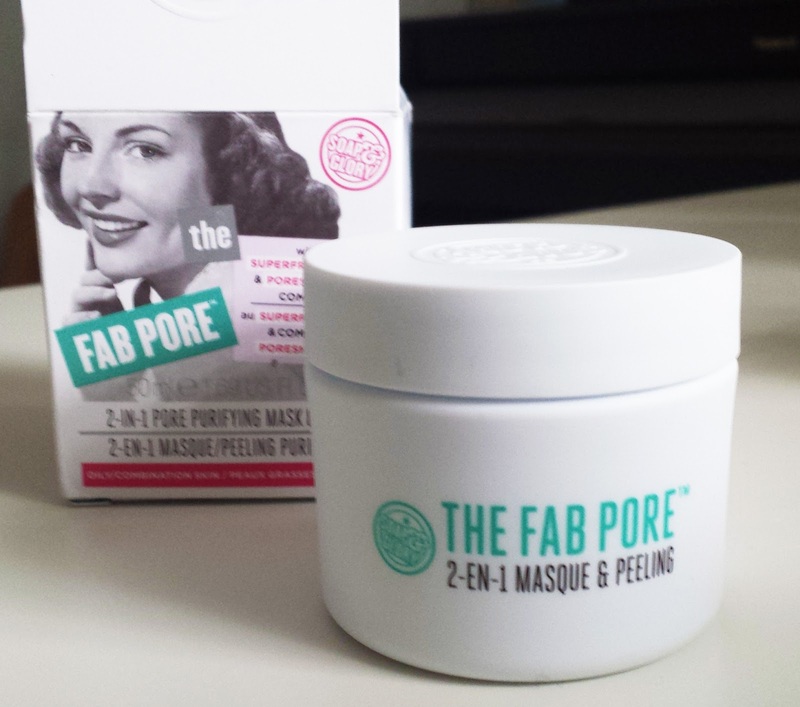 The Fab Pore is described as a 2-in-1 purifying mask & peel. The formula is green in colour and very thick. 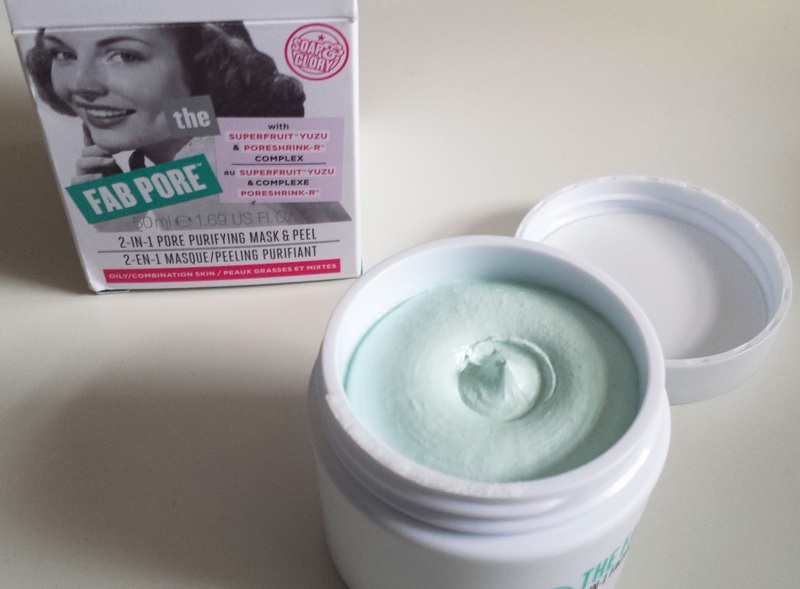 It genuinely smells like fresh mint leaves and it also contains small microbeads to exfoliate the skin. The instructions say to massage the mask into your skin before leaving it to sit for 5 minutes for a quick refresh or 15 minutes for an extreme clean. I was surprised that although this is only a 50ml tub a little actually seemed to go a long way so this should last quite some time if used on a weekly basis as advised. Of course due to my recent skin issues I decided to leave the mask on for 15 minutes so I poured myself a glass of wine and prepared a scoop of Ben & Jerrys Frozen Yoghurt for the ultimate treat whilst I waited to remove the mask. 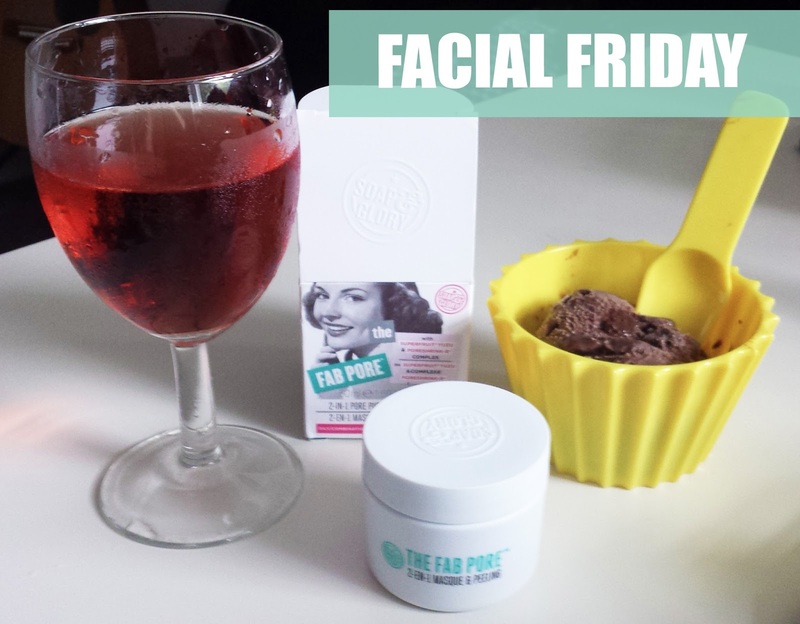 When it came to rinsing the mask off I took advantage of the micro-beads by using a small amount of water at first to massage my face and ex-foliate before rinsing the rest of the mask off. I can tell the mask stripped my face of the oils as towards the end of rinsing the mask there was a LOT of friction between my face and hands so I had to be a little more gentle than I usually would be when washing my face. The box advises to follow up with a moisturiser which leads me to believe this mask can be quite drying to the skin. I did use moisturiser afterwards as although I want to reduce the amount of oil, drying out my skin completely is not good! I would say this mask definitely made my skin less oily temporarily. A few hours after using the mask my skin is getting oily again but it is definitely not as oily as it was compared to before. Some parts of my face that were only a little oily before don't seem to be oily now so that's a good sign. My two favourite things about this mask were the scent and how refreshed my skint felt afterwards. The only way I can describe the feeling afterwards is this... Go somewhere quiet, close your eyes, and take a deep breathe through your nose, hold it, relax your shoulders, then breathe out... That is how my face felt after this mask! As I said earlier my skin is extremely oily at the moment so I would say if your have normal to combination skin this mask would probably work a treat for you. However I do not think this mask would be good for dry skin as it definitely strips some of the moisture from your skin.